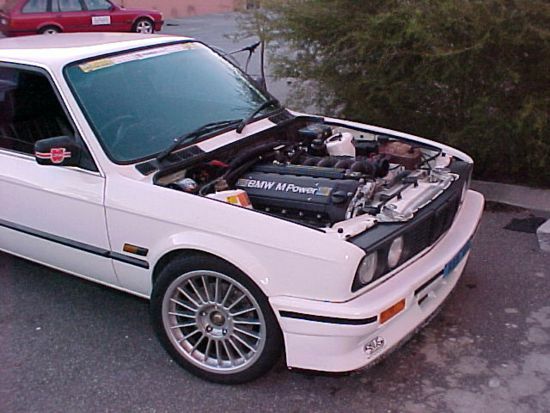 This 1988 325i E30 was done in preparation for the AEM Classic Rally 2001 ( S50 B30 conversion) where the vehicle won its class, and the Auto Trader Award.This 3 litre with 24 valve , computer driven adjustable inlet camshaft with limited, multiple throttle body (50mm) ‘M Power” motor and Getrag close ratio six speed gearbox ,represents the best BMW & MOTORSPORT divisions had to offer in 1995! After having Geoff from Exhaust Dynamicsrefabricate the stainless steel exhaust & extractor system to suit the E30 & my cutting the tailshaft & gear linkage 80mm to suit the six speed Gearbox ,then aligning its tailshaft to suit….it’s in! !The E30 325i radiator remains but the brake system, has to be as all M50 conversions I’ve done – re routed to a hydrolic or remote type systemI could have stopped at this point but anyway – after fitting the E36 front suspension to gain 282mm brake rotors, up from the E30′s 260mm and using ‘GREENSTUFF’ brake pads the rear used E36 compact trailing arm suspension complete, also to gain larger brake rotors (cross drilled with 100 holes) and ‘GREENSTUFF’ pads.this all bols up with No issues!! Having made this not so simple bolt-on conversion I now have to use E36 offset wheels. I chose the 17×7.5 Alpina look-alike wheels with 225/40 rubber all round.Street rubber used not “R” spec’ as everyone else does, maybe I should have too! !BATTERIES DIRECT supplied a DIN66 GEL battery for race use. It is 630cca and only 7.5kgs compared with the DIN66 lead acid with 550cca & 21kgs. The GEL battery can take the bumping and overturning (hopefully not needed).Wiring was quite a challenge this time as BMW in its wisdom changed a couple of colours for some functions, E.G. the tacho wire is now not black! I took 2 hours to realize that! Now I have every BMW function taken care of. The econo gauge and all service lights and other check control systems work. 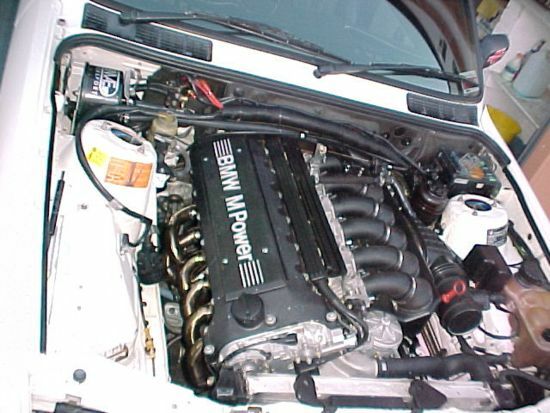 Many things are the same as doing an M50 conversion - battery position, brake system, radiator & hoses, sump pump & dipstick and the all of engine to car wiring.Estimated BHP from this engine after POWERCHIP, EXTRACTORS, 2×21/4 exhaust and open induction type air cleaner is about 310-315 BHP, up from 286bhp. The weight of the car is 1120 kg (empty fuel tank & no driver). 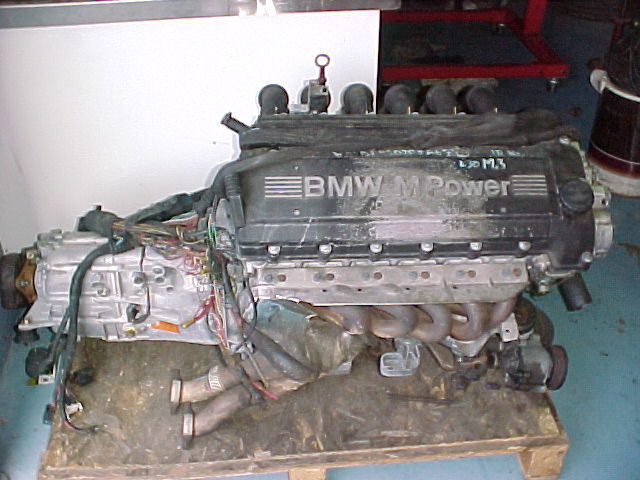 That is 3.55 kg per BHP, or, 282 BHP per tonne!.